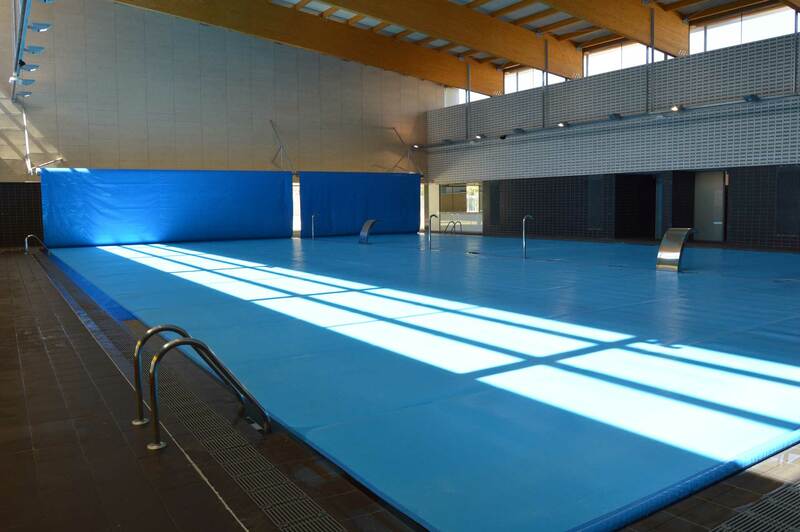 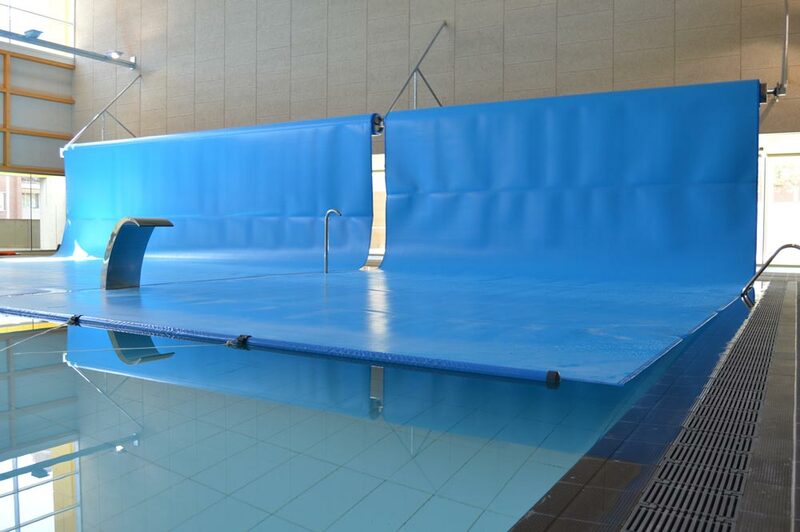 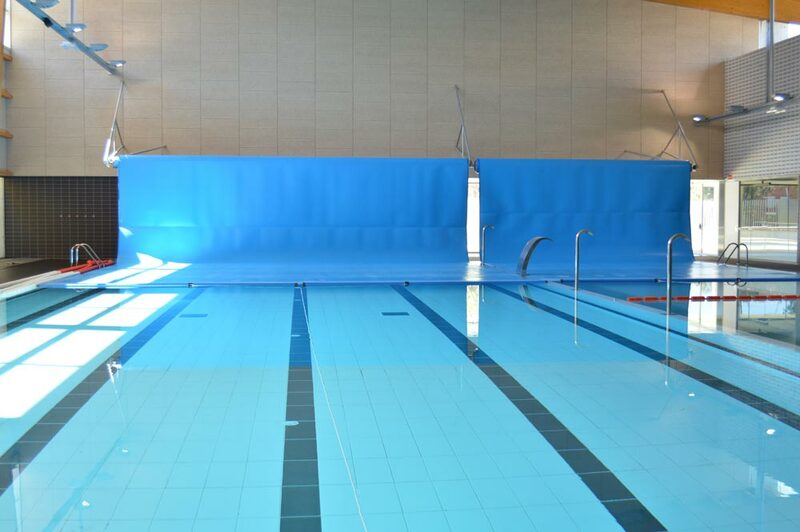 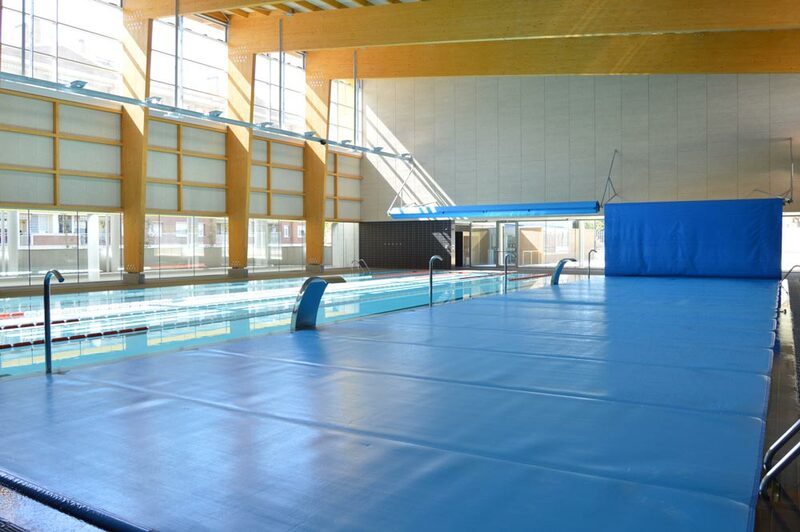 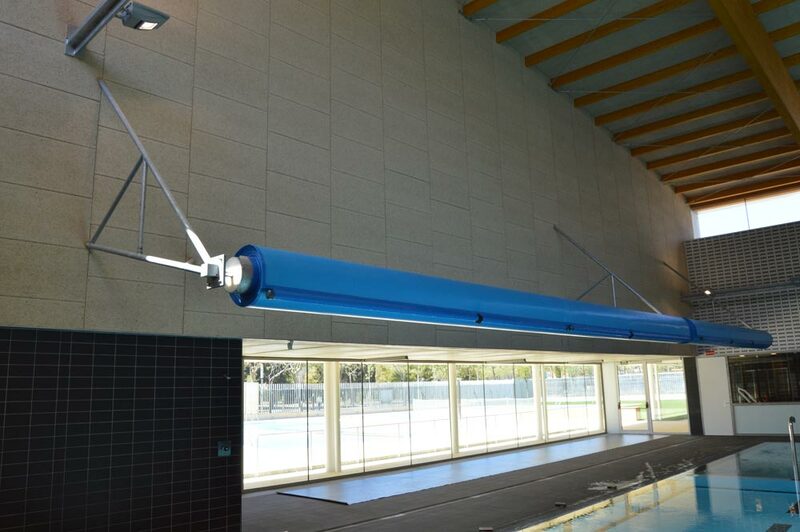 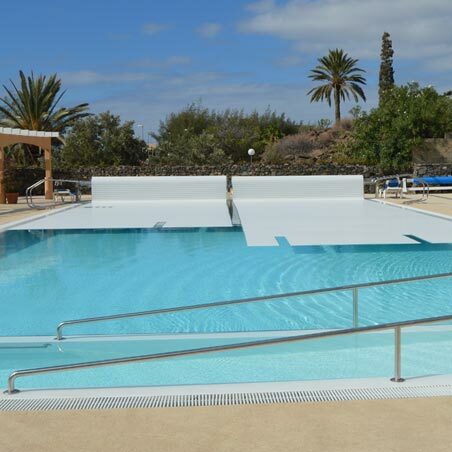 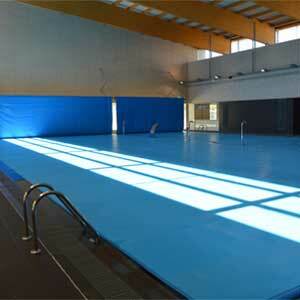 Glass for the pool, divided into 2 covers measuring 25x10 and 25x6.50m, which can be controlled individually. 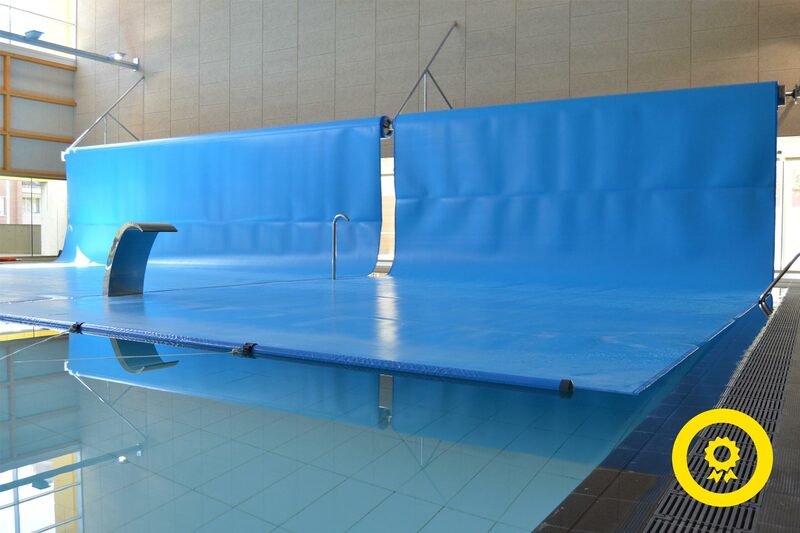 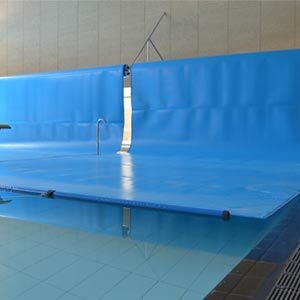 Cover built using laminated closed-cell polyethylene foam on the upper cover with a UV-stabilised polyethylene fabric, which is highly resistant and offers dimensional stability and cover over the lower cover with a PE film for relief. 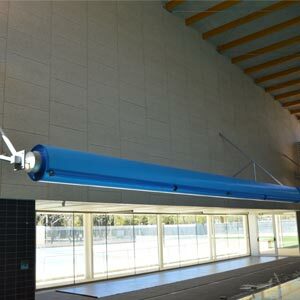 Roller system made of galvanized steel to attach to the wall. 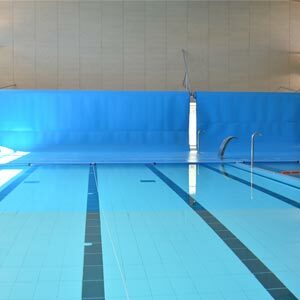 24V radio-controlled motor and stainless steel accessories.